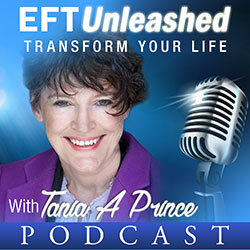 EFT can be a powerful tool when it comes to working with physical issues. I recently shared a story about working with a shoulder problem using EFT, this article deals with numbness. One of the trainees at an EFT Manchester training that I ran in December last, had a problem with numbness in her leg. The numbness ran the whole length of her leg, even extending down into her foot. She had had it for 25 years. After less than thirty minutes of EFT tapping using the Chase the pain approach, feeling began to return to her leg. In fact she estimated the improvement to be 80%. This result was achieved whilst working with a fellow EFT trainee, who like her, was new to working with EFT. The trainees problem had started early in her life with frequent bouts of sciatica. During one of these sciatica attacks she was taken to hospital and given an injection. That settled the pain. However she was later given another injection. The next morning she noticed that her leg was numb all the way down the back of her leg and into her foot. Although she sought help for the problem it was to no avail, she was told, “You have to live with it”. She did, for about 25 years. It impacted her in many ways, these included her having to walk down steps like a “baby” carefully putting one foot down after the other, due to the inability to feel the sensation of the step beneath her foot. Also at times she had felt a need to sit down on steps and gently slide down. 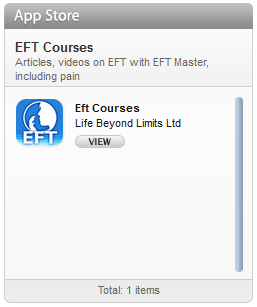 Chase the Pain is a simple way to apply EFT to physical problems. It works by tuning into the problem and tapping. In Chase the Pain, the words that describe the clients specific problem are used to tune the client in. Generally descriptive terms such as, “this feeling of numbness that goes from the top of my right leg into my foot”. With each successive round of EFT tapping, the words are adjusted to reflect any changes that occur in the symptoms, that is why it is called,”Chase the Pain”. The quality of the pain symptom can and often does change with each round of tapping. Using, Chase the Pain they were able to clear most if not all of the numbness from the back of her thigh during a short practice session! However some of the numbness in her foot remained. The whole room burst into laughter at the thought of “the foot” communicating with us:-) However, I asked her to go ahead and do it, of course with a smile on my face! She said the foot said, “move forward”. Interestingly enough when she said this, there was a further dramatic improvement in the problem. More sensation and feeling returned to the foot. We are now about 3 months later (at the time of starting to write this article – what can I say, life is busy, it took me longer than I thought). The improvement she experienced during the training has remained at the same degree. Interestingly enough during the call, she said, “because it is so improved, I haven’t thought about clearing the rest of it! I bet I could”! Considering how little time was spent actually working on her problem, I wouldn’t be surprised if she could make further improvement. Please note, this article is written for educational purposes. 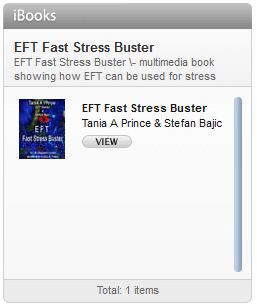 INTERESTED IN LEARNING MORE ABOUT EFT?